Da Beard takes it to Da House! It was another big game for #99 today! 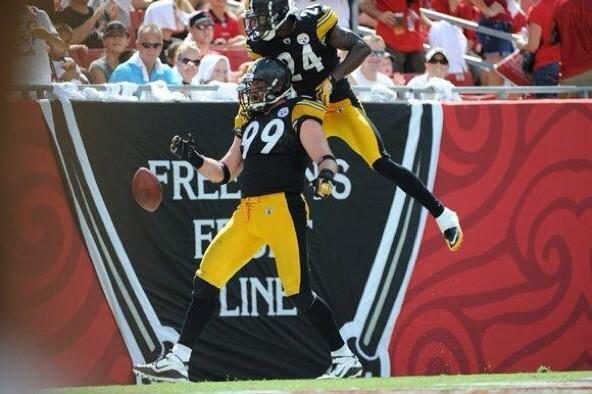 Brett had his first interception for a touchdown as the Steelers beat Tampa Bay 38-13. Watch video with commentary of the play HERE. Long ago in a far off place, little Brett Keisel scored a touchdown. OK, so maybe Keisel never was little. But we are talking 14 years and 60 pounds ago. It was the 1996 football season, and Keisel was a senior at Greybull High School. That’s Greybull, Wyo., a really far off place I think you will agree. Keisel was a 225-pound tight end/middle linebacker back then. Today, he’s a 285-pound defensive end for the Steelers with the same number of touchdowns this season as future Hall of Famer Hines Ward and one more than Pro Bowl tight end Heath Miller. Yes, all these years later, Keisel will tell you there’s still no place like the end zone. This time, Keisel’s hands didn’t fail him. Nine seasons in the NFL and this was his first interception. Only a week earlier in Tennessee, after Steelers linebacker LaMarr Woodley rattled Titans quarterback Kerry Collins and forced a fumble, Keisel had a chance to catch the ball out of the air but dropped it. That’s Keisel’s story, and he’s sticking to it. 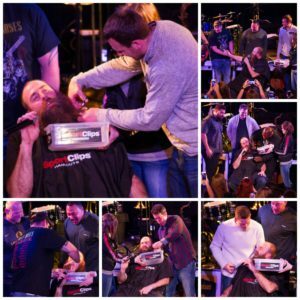 “They might need to use me as a tight end a little bit,” Keisel said, playfully. I’m thinking Miller isn’t too concerned. That goes back to Super Bowl XLIII. Keisel recovered a fumble by Cardinals quarterback Kurt Warner after a Woodley sack in the final seconds, effectively ending the Steelers’ 27-23 win and their sixth Super Bowl title. Now there’s a story you can be sure Keisel will have no problem sticking to. Brett was selected as the AFC North High Energy Player of the Week.